Another photo from my Easter holiday in Sussex. 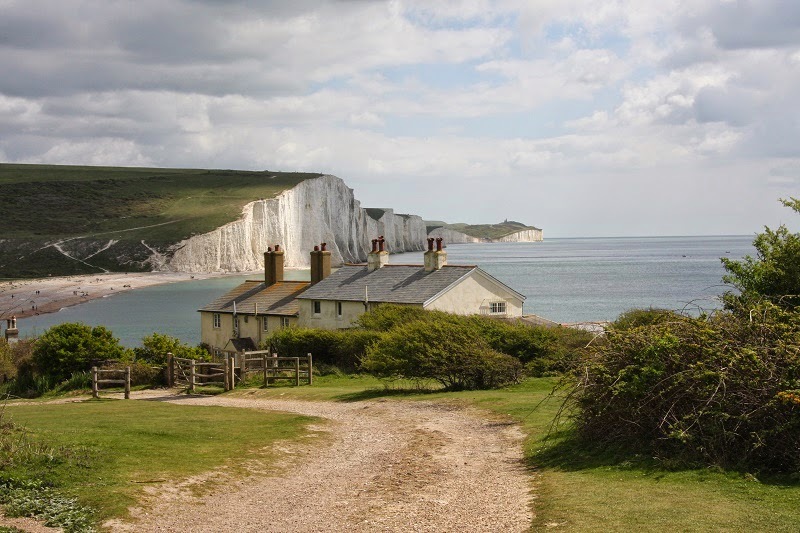 This shows the Seven Sisters from the cliffs above the Cuckmere Estuary, with the coastguards' cottages in the foreground. It is a traditional view and often snapped by holidaymakers and photographers, but the cliffs do look somewhat different than they did last spring. The storms of the past few months have caused more erosion than is normally experienced in several years and many of the paths are now too dangerous to use.